The JR2-DT is a desk-top version of the JR2. 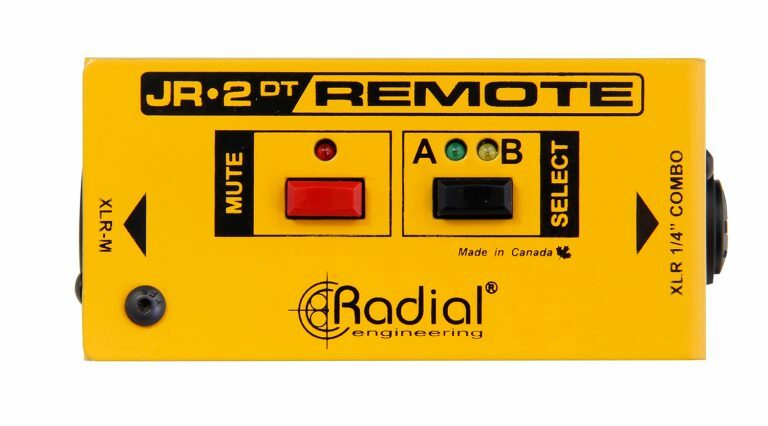 It features two top-mounted activator switches to control AB and Mute functions. These functions may change depending on the Radial product being connected. 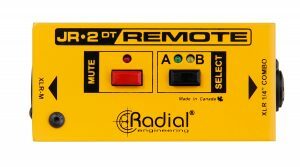 The JR2-DT connects to the device using a choice of XLR or ¼” TRS connection and standard balanced cable. 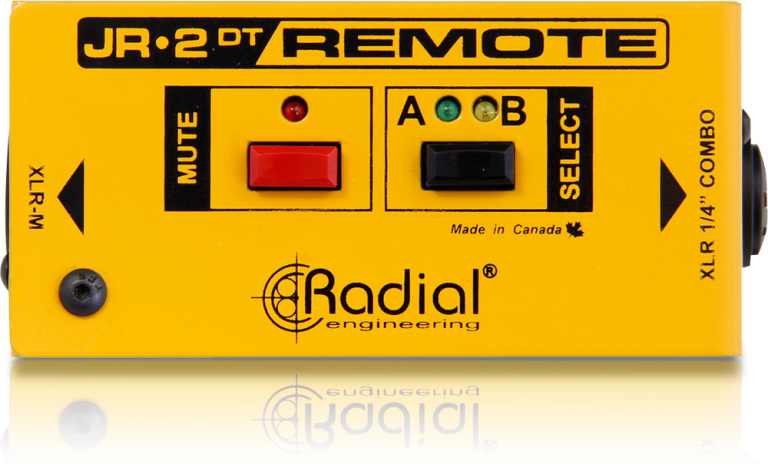 The JR2-DT also derives its power from the Radial device, eliminating the need for local power. It comes with both an isolation Pad for ‘free placement’ and a Velcro strip to attach to a desk top, work surface or flight case. An optional L bracket enables the JR2-DT to be permanently mounted to a podium, work surface or affixed to a standard 19″ rack rail.